eCommerce MasterPlan exists to help eCommerce businesses get more customers – by helping them work out where to focus to grow their business as efficiently and effectively as possible. Is what I’m doing the right thing? The best thing I could be doing? We aim to give you the tools you need to answer those questions (as well as answer your specific queries from time to time!). eCommerce MasterPlan was launched in May 2012, and that September our first book hit the shelves. 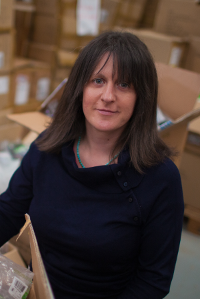 There is only one full time person at eCommerce MasterPlan – that’s our founder Chloë Thomas. Her work is supported by a phlanx of specialists! 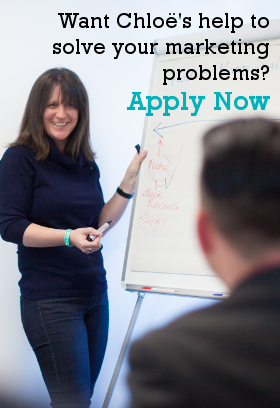 Fenella is always around – looking after everything financial. The team at Music Radio Creative look after our podcast production, and then there’s Richard looking after the website, and Joni on the graphics. Plus a wide range of others as the needs of the business dictate (including social media, clammer, virtual assistants, ebook designers and much much more). How can eCommerce MasterPlan help you? There are lots of ways you can get our help to grow your business – from free downloads and the podcast, right through to one-on-one help from Chloë herself. We have various free downloads. They are ever changing and you can find them all here. The blog is also regularly updated. 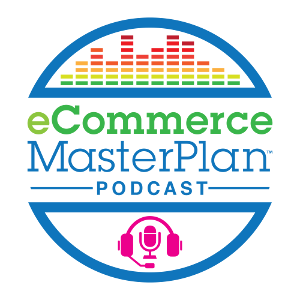 Chloë launched the eCommerce MasterPlan Podcast in 2015 to bring you the fasicating conversations she gets to have with other people running eCommerce businesses. It’s a weekly show with occasional bonus episodes, and it’s evolved to include the occasional monologue, or expert session, and the very popular conference takeaways. You can find out all about the podcast and start listening right here. Writing is one of Chloë’s favourite things to do – looking at the world of eCommerce and marketing and developing models to help others to make sense of it all, and build their businesses faster. So far we’ve published 4 books, and all are available as Paperback, ebook, and audiobook. eCommerce Marketing: How to Drive Traffic That Buys to Your Website (2013), the book provides simple yet detailed insight into the methods and practices business owners need to follow in order to prevail in the field of eCommerce. Speaking is another of Chloë’s favourite things to do! Many of the events Chloë speaks at are free – and you can find details of all of those currently booked here. If you’d like Chloë’s support directly in your business you need to go here. Whether it’s to coach you through the coming months, train your team, or even create your next marketing plan or audit your website we’d love to see how we can help. Chloë is the brains behind eCommerce MasterPlan. She’s the author of the books and blog content, the host of the podcast, and develops all our content and strategies. Chloë has been working in direct marketing since 2001, originally getting a job in retail banking marketing at Barclays after her history degree at Oxford. Next she worked at UK mail order and high street business Past Times as their Direct Communications Manager – looking after the instore loyalty program, the catalogue mailings, and email marketing. After Past Times went into administration in Christmas 2005 (not her fault she assures us! ), she was very lucky to get a job as Head of eCommerce at mail order consultancy Ardington. 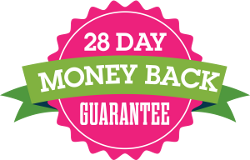 There she brought several estabilished mail order businesses into the internet age – launching multiple websites, endless first ever email campaigns, as well as Google Adwords and affiliate marketing. That role was highly successful and after less than a year turned into a marketing agency all of its own. The agency cycled through many different approaches and models over the years, enabling Chloë to cut her teeth in B2B marketing and sales as well as learn a great deal more about retail and eCommerce whilst working with everyone from high street retailers to pure play online startups. In 2012 Chloë realised her future was in helping eCommerce businesses work out what marketing they should be doing – and that trying to do this whilst also flogging Google Adwords services wasn’t the best way forwards! And so eCommerce MasterPlan was born allowing her to focus on bringing better eCommerce business strategies and marketing to the world. Having launched the business in Oxford, Chloë moved back to her home town in Cornwall in 2013 and can now frequently be found on First Great Western trains heading in and out of London! Want to find out more about Chloë and what’s she’s been up to – you’ll find that in her recent interviews. Power Retail (Australia’s number one eCommerce publisher) named Chloë one of the world’s top 10 eCommerce commentators. 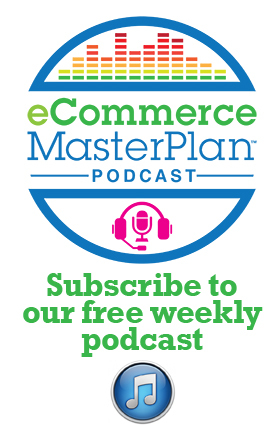 The eCommerce MasterPlan Podcast is the number one eCommerce podcast in the UK.